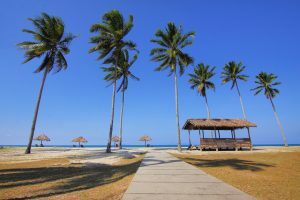 Traveling in the tropics like Mexico, Central America and the Caribbean can cause a traveler to experience a drastic change in climate and lifestyle. Here are seven health tips for traveling in the tropics. Don’t drink the water – Drinking tap water is not a good idea, especially in the tropics. Tap water can cause stomach problems and therefore should be avoided at all costs. Stay hydrated –When temperatures are high, it is always best to stay hydrated to avoid overheating. Ease into it – Eat the local food but take it slow so that your stomach can adjust to different foods. Wash your hands – Avoid touching your face, mouth, and eyes while traveling and always wash your hands after using the toilet or before consuming food. Street food – If you have a sensitive stomach it is best to avoid street food as they have more opportunity to be contaminated. Eat the local food – When eating the local food, speaking to your hotel and ask them where you can try authentic foods in clean surroundings. Go easy on the sun – Too much sun can leave you tired, dizzy or with a bad sunstroke. Stay away from direct sunlight and always wear a hat, protective clothing, and sunscreen when heading out.